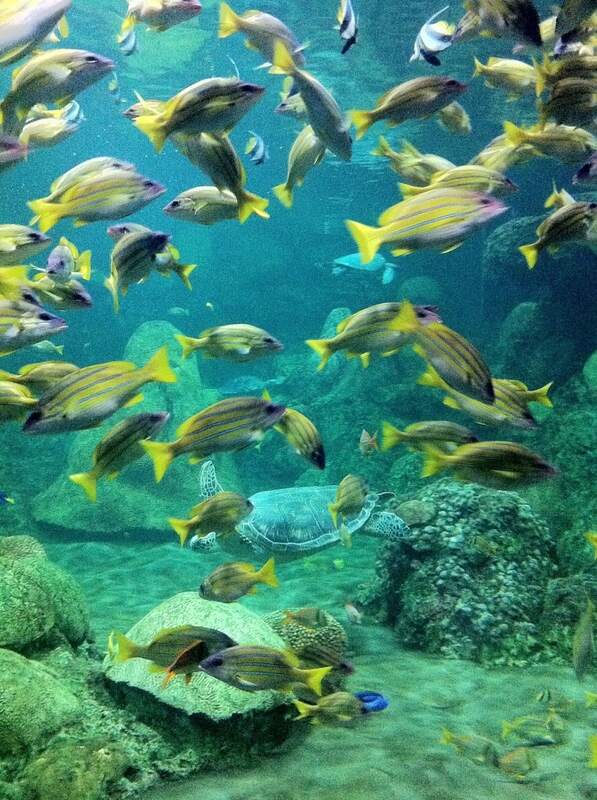 The New England Aquarium has always been one of my favorite places to visit in Boston. 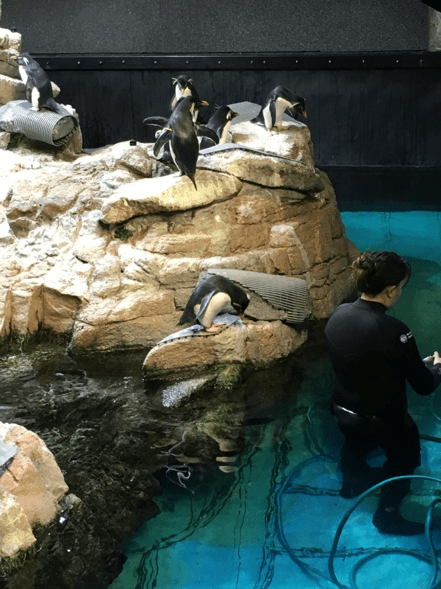 It is located just two miles away from The Lenox Hotel, which is only about a 15 minute taxi ride and 25 minutes on the T. The aquarium is great year-round, but I especially like going in the winter to escape the cold for a bit. Since there are so many interesting exhibits to see, I would definitely recommend allowing a couple hours to really experience all that the Aquarium as to offer. 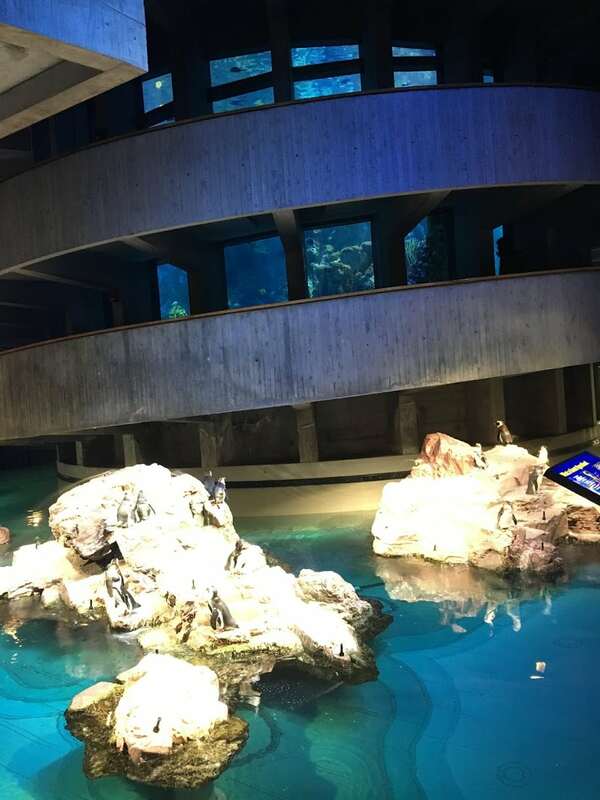 The Giant Ocean Tank, which is 4 stories high and 40 feet wide, is always a must-stop for me. The top of the tank is completely open and allows for a fun look at Myrtle the Turtle (a resident of the tank since 1970) who pops her head up for air every once in a while. Keep an eye out for divers in the tank as well. They often go in to feed the fish and it’s fun to observe how they interact up close with them. One of the more interactive exhibits is the Shark and Ray Touch Tank, which is located on the main floor. You can actually put your hand in the water as sting rays glide past you, so you get a chance to experience what these animals actually feel like. 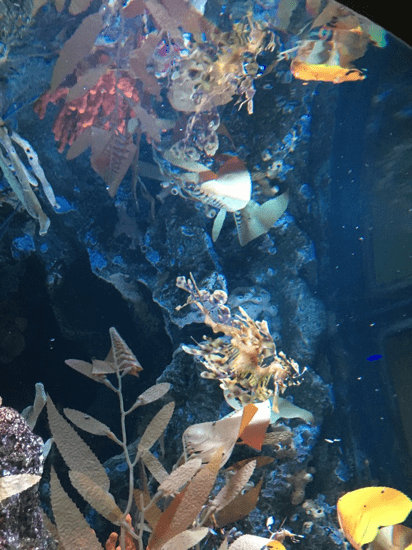 The top floor of the Aquarium is home to the Edge of Sea Touch Tank. Last time I was visiting this area, I had the chance to talk with the educator on duty, and they put a scallop on its side, so we could all watch it open its shell. Sometimes they will close really quickly and spit out water! Are you more into rain forests and jungle creatures, rather than sea animals? Well, good news the Aquarium is also home to some breathtaking Amazon Exhibits that allow you to see all the bio-diversity that make our planet so unique. 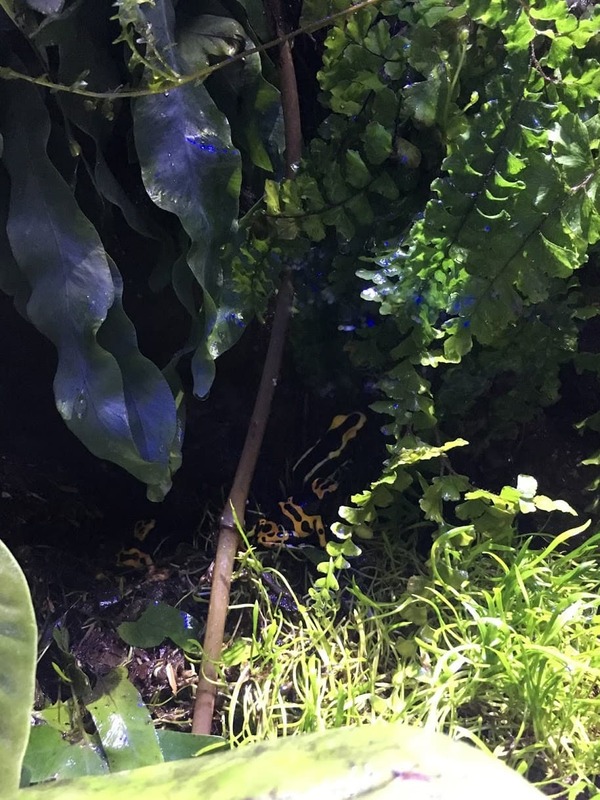 The Poisonous Frog Tank is a personal favorite of mine, but there are tons more to explore. As you look into some of these exhibits, take a moment for your eyes to adjust and look closely, as many of the animals have adapted to camouflage and blend in with their environment. Is that a branch or an Anaconda? A leaf or a Seahorse? Take a second look and you just might be surprised. After all that walking, you’ll probably be in the mood to sit down, which is the perfect time to visit the I-Max 3D theater. Here you’ll find giant rotating and informative films that are the perfect way to cap off a day at the New England Aquarium. I hope you enjoy the Aquarium as much as I do, and if you ever have any questions about upcoming exhibits or anything at all, visit me at the Concierge desk and I’ll be more than happy to tell you even more about this great place.